Echo Carpet Services are dedicated to providing our clients with excellent and professional carpet cleaning services at competitive and affordable prices that make you happy. Because so many of our client have small children in their house, many ask us if our cleaning is safe and non-toxic. The answer is yes. We only use certified green cleaning solutions that a free of harmful chemicals. No toxic chemicals will be used in your home. We take pride that our cleaning services are baby safe and pet safe. 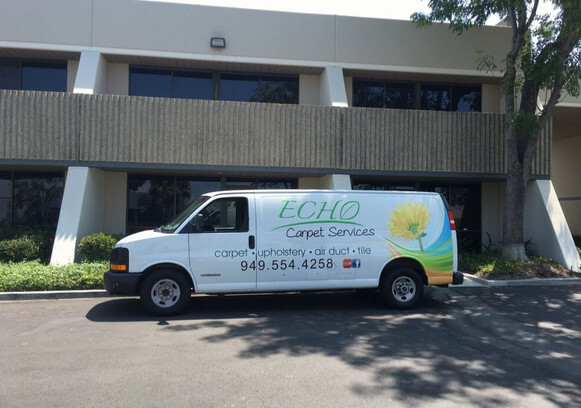 Established in 2011 and Based in Irvine, Echo Carpet Services is a family owned and operated business servicing all over Orange County. Seeking excellence and 100% customer satisfaction, Echo Carpet Services has been serving our loyal customers for many years. Our top notch reputation originates from our commitment to always going the extra mile to ensure that not even the smallest details are missed. With this pride in our work and our Good Name, our professional staff is committed to helping customers understand how to solve any problem. Guy Echo, Owner of Echo Carpet Services is committed to cleaning your home or office just as we would (and do) clean our own place. Just as we do not stop cleaning our home and office until we are 100% satisfied, we will never stop a job before we have the same level of satisfaction with your home or business. We will clean your home or business just the same as if it was our place. If our clients are happy, my family is happy.